Finally, it was time to check the ice conditions on the Arctic Ocean again. Teamed up with David Hempleman-Adams and 12 other excited and nice teammates, we arrived Longyearbyen on Svalbard where the last preparation where made. Some gear had to be modified and the food shared between everyone. And certainly everyone was enjoying the fantastic scenery and light Svalbard gives in early April. The team who also are Entrepreneurs; Justin Packshaw, Simon Turner, Justin Abbott, Ed Boyce, David Cooke, Stefan Glaenzer, Tom Black, Pascal Noth and Hugh Robertson had one other main purpose with this North Pole adventure: To support The Prince’s Trust Charity, with the aim to raise money to help more than 250 disadvantaged young people begin careers as entrepreneurs. 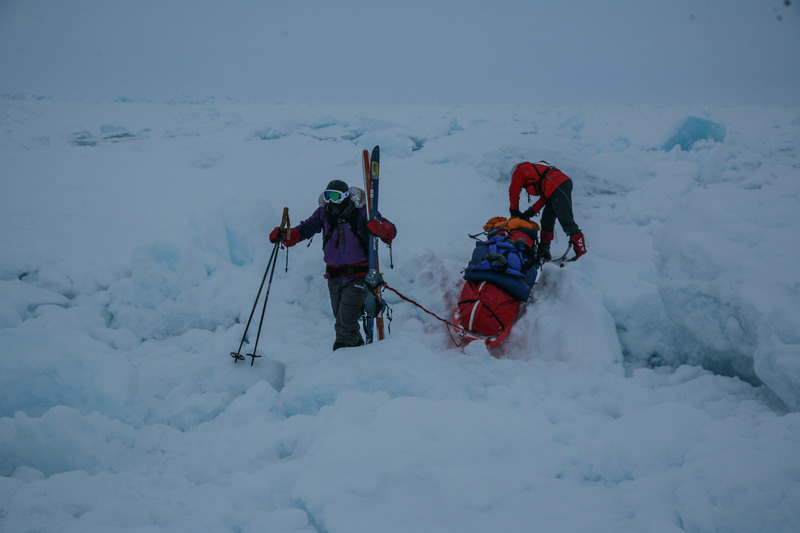 The team had already raised more than £400,000 largely through corporate sponsorship, and will continue the fundraising after the expedition with various follow-up events. An amazing job and congratulation to them. After some delays, we flew up to the Barneo Station with the russian AN-74 plane, and the next day we started of towards the Pole. During six days we had all kind of conditions, except from strong wind and big open leads. However, everyone had to be patient walking along leads for hours. Temperature was up and down from -12 C to -30 C with a nice breeze. 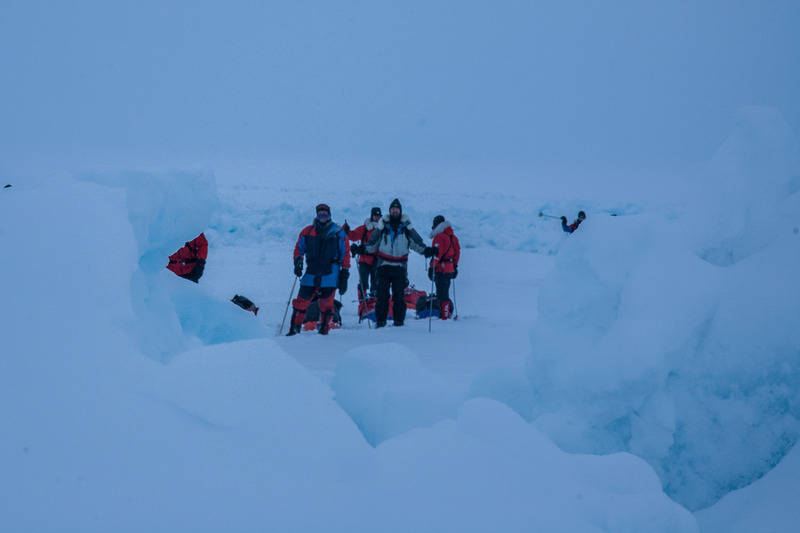 There where plenty of pressure ridges to climb and pack ice to cross through. Overall it was very nice conditions this year during our period up there. This can change quickly due to wind and drift. Our group were one of the first team on the ice, but lots of team came behind us. Everything from North Pole Marathon, divers and most amazing or shocking, five small helicopters arrived at the North Pole two hours after our arrival. Noisy, but a bit fascinating and a feeling of Hitchcock… Nowadays, the Geographical North Pole is quite busy during three weeks of April.